As a young boy, Dr. Chris Tsintolas knew without a doubt that he wanted to be an orthodontist. 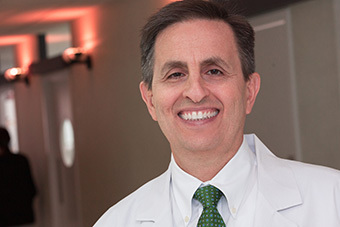 The career inspiration originated from his own experience as an orthodontic patient in Washington, D.C. Dr. Tsintolas was born in D.C. and grew up in Silver Spring, Maryland. As the youngest of four children, his turn for braces came after his two sisters and brother concluded their orthodontic treatment. Shortly after he began treatment, he recognized that orthodontics is a special profession. The marriage of the technical with the artistic fascinated him. His treatment concluded with straight teeth and strong inspiration for a fulfilling career. What he enjoys most about working in the orthodontic field is transforming smiles, and the way that doing so also transforms personalities, whether the patient is a child, teen or an adult. 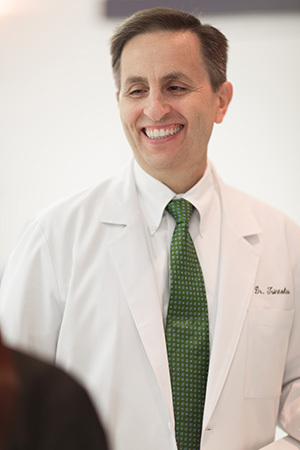 Dr. Tsintolas’ journey to become an orthodontist began with four years at the College Park Campus of the University of Maryland, where he earned a bachelor’s degree in general biological sciences in 1980. Next, he completed four years of study and clinical practice to receive a Doctor of Dental Surgery degree from Georgetown University School of Dentistry in 1984. He returned to school to complete two additional years of specialty graduate training in orthodontics. That culminated in a master’s degree from Georgetown University School of Dentistry, Department of Orthodontics. Dr. Tsintolas established his orthodontic practice in Gaithersburg in 1987 at the Montgomery Village Professional Center. He later moved the practice to its current location on Russell Avenue. He has cared for thousands of area children, teens and adults since then. It is a great honor when former patients, now adults, bring their own children to his practice for orthodontic care. Orthodontics has modernized tremendously since Dr. Tsintolas was a boy. Far more treatment options exist for his patients than were available to him as a patient many years ago. Ongoing participation in continuing education permits him to bring the best orthodontic concepts and materials to patients. He is a founding and managing member of the Mid-County Dental Society, which meets about six times each year for the sole purpose of gathering area dentists and specialists together for additional study and exposure to dental topics of importance and interest. He is licensed by the dental boards of Maryland and Virginia. Dr. Tsintolas is married and has three children – one daughter and two sons. He spends as much time with his family as possible. He enjoys strength, flexibility and endurance training.